And so this young man met me last week. He is creative, especially with words. He makes words come alive; leave their formal habitat (books) and come into you BUT he is broke!!!!. He met me on my way home one cool evening when I was rushing home from work and all the day’s stress. I paused to listen to his sad story and see if I could help him. We talked a bit and I told him about Fiverr. Many writers, graphic designers, poets and nerds in many areas in this shipwrecked boat of "unprofitable knowledge" and are sinking in poverty. 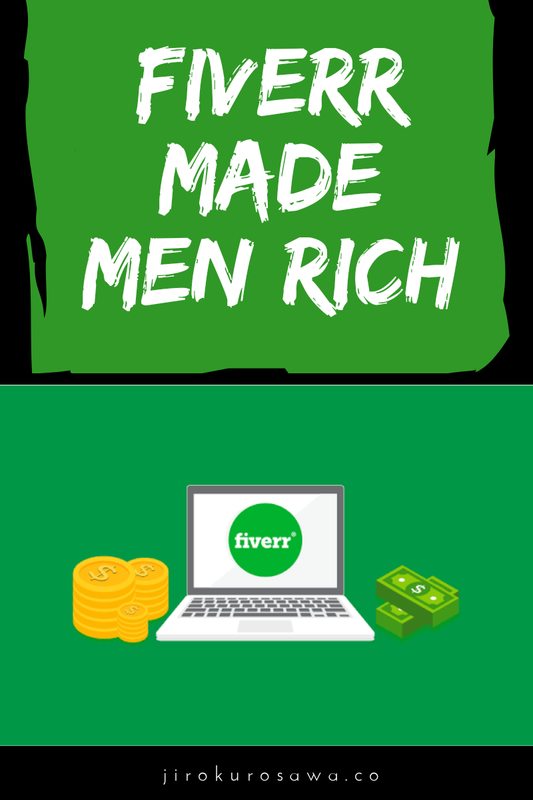 I personally went through all these until I discovered that Fiverr made men rich. You must not have a laptop to start up, I still use my phone regularly. I made him know this and he started immediately by creating a Gmail account. I sent him a referral link and made him sign up under my watch because of the nature of human beings. (They could be enthusiastic this moment and lose interest when they meet a little bump on the way). 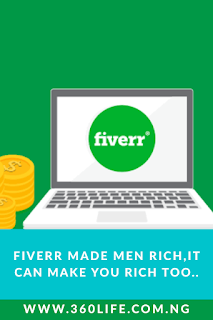 Fiverr is basically an online marketplace for freelancers. It finds application in almost all aspects except in health where the physical meeting is required. 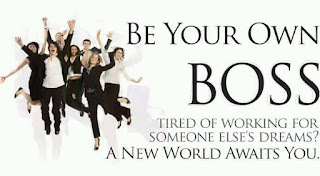 You can simply signup, create a profile and start making money. It is a freelance platform and so your contract is terminated immediately after the deal and payment are made. It is simple, horn those skills while making dollars from it. CLICK HERE to join Fiverr and make some money off your skill. It is advised that a laptop or a computer be used for initial registration. You can use either your Gmail to login or your Facebook. I used Gmail, it makes logging easier and faster. Eureka!!! you have a Fiverr account. A gig must then be created. A gig is simply the services you have to offer. Follow these simple steps to the end. The good gig must contain words showing your skill mostly and a captivating picture of you. This makes people have a feel of their personality. This is called a gig gallery. A minute video can make your pitch easier to potential buyers. There is where you place a value on your work depending on the various packages the buyer wants. These prices can as well be edited and better prices put in. 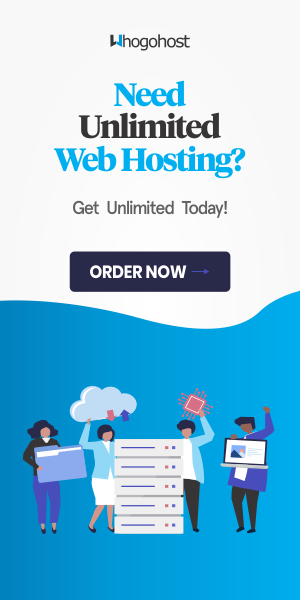 The pricing gives the client what to expect from the services you offer. Getting good ratings is important if you want to get more clients and move up the ranks. 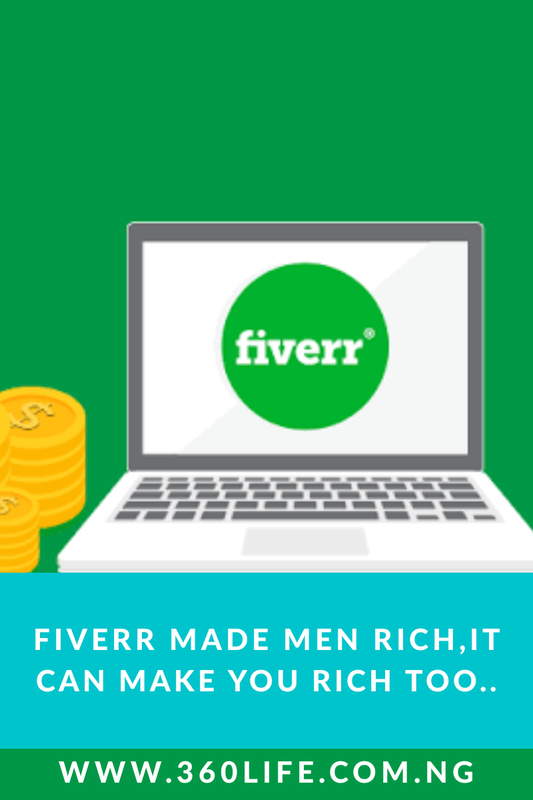 To source for a task on Fiverr, one can buy a request; go to seller's gig and see their request. State the duration and price you could do it for and come to an agreement with the seller. Make sure the images you use for your gallery when you are setting up your gig is captivating. It should draw the buyer in or describe what you are offering. Your last seen will encourage your buyers to choose you if it's just a few hours. But if your last seen is showing days or months, it will discourage potential buyers, even Fiverr will not advertise your services. 30 seconds to 1 minute 15 seconds video that describes your gig also increases your chances of visibility. A clear video will encourage a buyer to accept your gig offer. Be very detailed in the description of your gig. Tell your buyers what they will get when they order your gig. Highlight what sets you apart from others. Of course, there are other people who offer what you offer but you must find a way to distinguish yours. Responding to messages on time will boost your ratings. Always check your Fiverr app for messages. When you have a gig to deliver to a buy, ensure you deliver on time. Missing deadlines can affect your ratings and reduces your chances of getting futures gigs. Whatever you do, do it well. Most times, you make more money from a returning buyer because you met expectations. 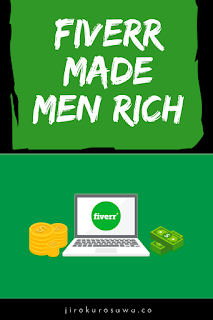 I have friends, accomplices who have made a lot of money from Fiverr. You too can. You too can become rich? ?